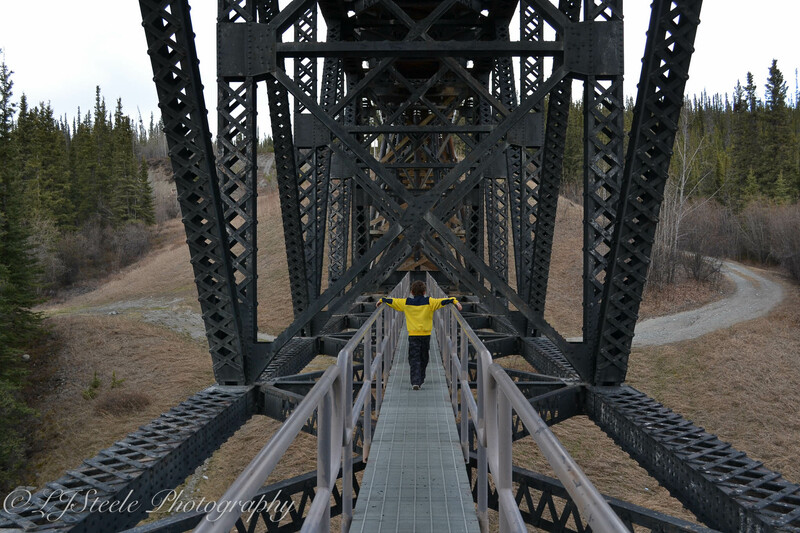 Directions: From the Richardson Highway, Alaska, take the turn off to Chitna, follow the signs to McCarthy. From there you need to park the car and make you way up the old mine road, past McCarthy town. Kennecott Copper Mines – I love this place!! They were discovered in 1900, developed into 5 working mines that yielded the largest payload of copper in America at that time. Building the mines were just the tip of it all…how to get the ore out and down to the lower 48? Pack mule to Valdez was just too slow, so the Copper River Northwest Railway way built, 196 miles from the mines to Cordova, AK, then onto boats. The journey is shown all through the area, as the builder crossed rivers and mountains and one of bespeaks of tenacity, tragedy and hardship and awe – awe at these amazing men and women. 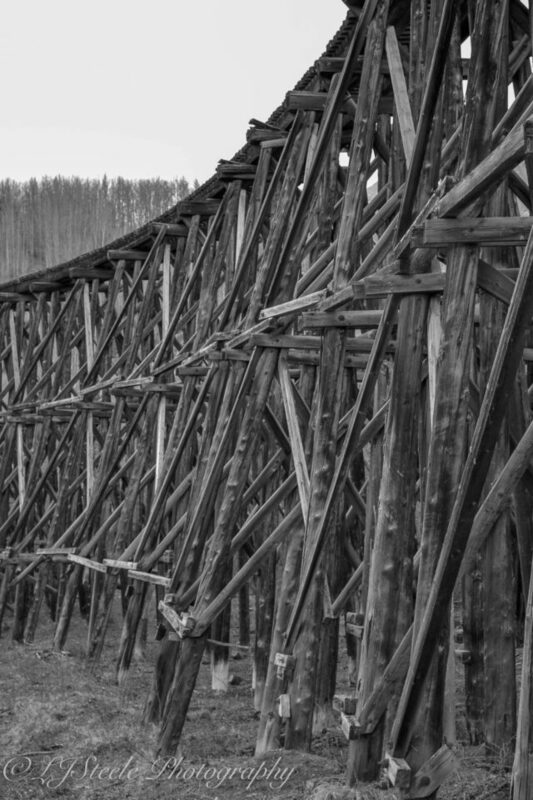 It is now listed as a National Landmark, which allows us all to take the exploration. 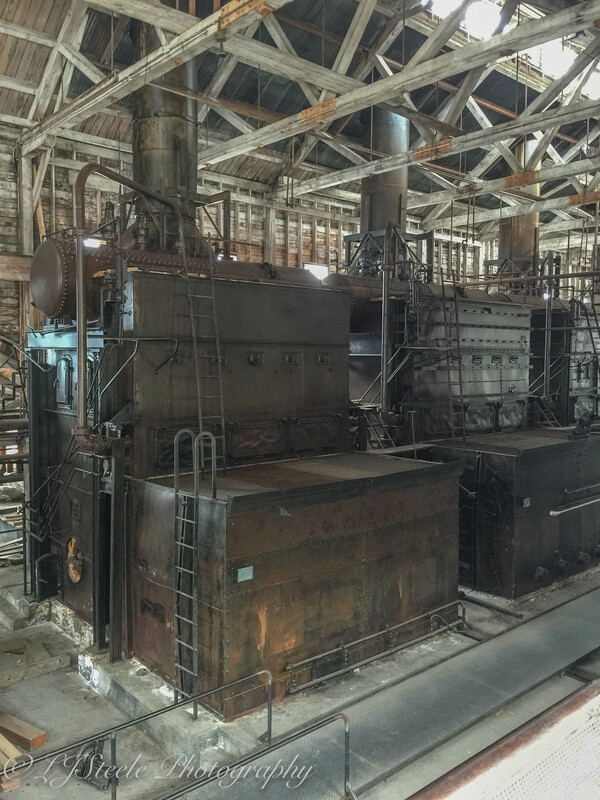 This fascinating and humbling view of a piece of American history is a photographers dream. Lots to do around McCarty as well, mountain biking, rafting, hiking out onto the glacier are just a few things to explore. 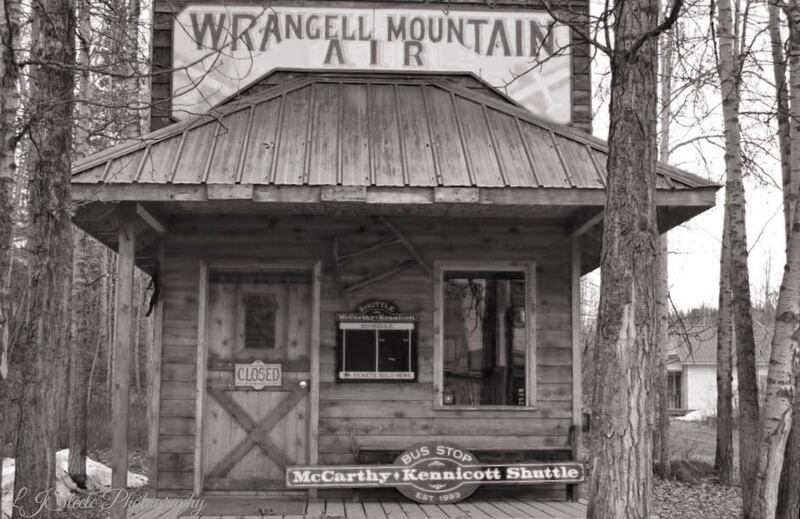 One of my favorites is the McCarthy 1/2 marathon which runs through the old mining town and its outer mine areas. – Best time is two-fold: Spring/Summer offers abundant greenery, a multitude of wild flowers, animals and hot sunny days, so you can gear up light but with the “incase of rain thought, bring a rain shell and definitely protection for camera for the possible shower. Whereas Fall, can show up with early snow fall and definitely colder temperature, be safe and dress for cool but pack for cold, but the snow also offers its photography treasures. Watch for weather/ temperature extremes with the cameras and lenses. I tend to bring mine inside (tent, cabins [the best are Currant Ridge Cabins, as they have the facilities and heating of fully functional units, that you can control to optimize any camera maintenance and power needs). Do not leave any camera gear or computers etc in the vehicles in winter…(lost a computer because of it!). Have a good hat and gloves they have save my fingers more than once while shooting. 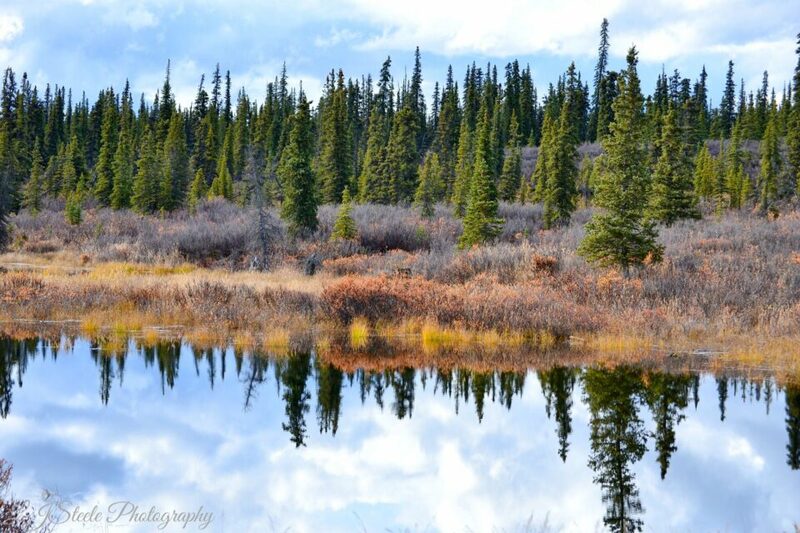 The colors of fall, many glacier feed pond, streams and lakes. – Camera lenses: I typically travel simply often because of the weather or I am on the mountain bike or hiking, so sometimes it is just the iPhone (darn good little snapper), otherwise it is my Nikon with my newer 18-300mm (a little more versatile than my older 55-200mm basic), and macro extensions…nothing fancy, definitely an amateur and my get a fancy camera when I learn all the aspects the one I have…or not :-) Another reason I travel light camera-gear-wise is some of the most interesting photographic opportunities are when you hike up to the old Bonanza or Mother Load mine entrance , and even with my study camera backpack (filled with camera gear, a range of clothing and snacks) it can be a decent hike. 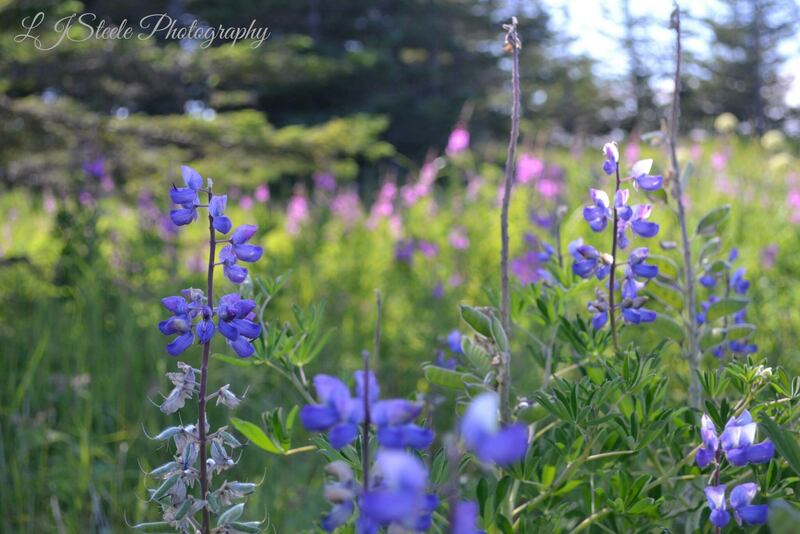 Fireweed and Lupine dot the countryside along with a multitude of other wild flowers. 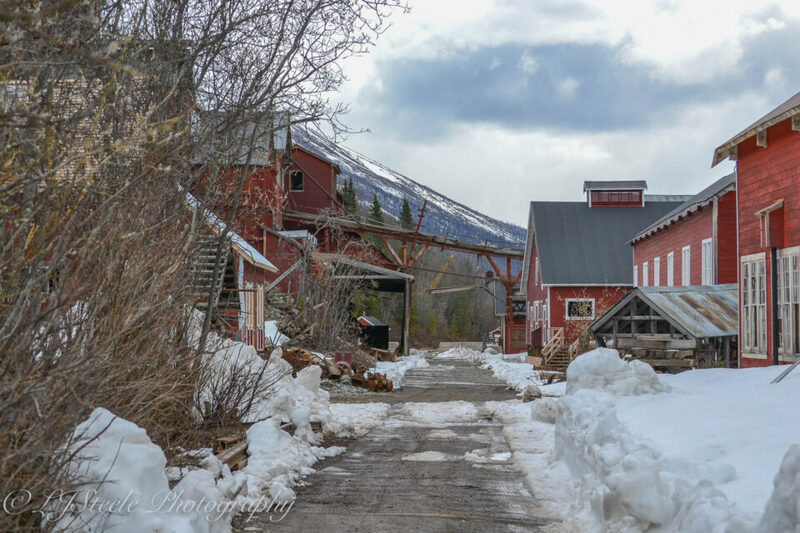 – Being There: Places to stay can vary to your taste, from camping to hotels (in McCarthy or Kennecott mine center). As I mentioned I prefer the Cabins as it affords privacy, power to upload, space for camera gear maintenance/ cleaning etc. Food places are available in and around the McCarthy area, wonderful local people do an amazing job, I tend to bring mostly my own food, so there the fully furnished cabins w amenities works for me as take snacks and eat on the trail and then often get carried away taking pictures and suddenly its 11p at night – oh how glorious the long Alaskan summers are…yeah and restaurants open at that time? 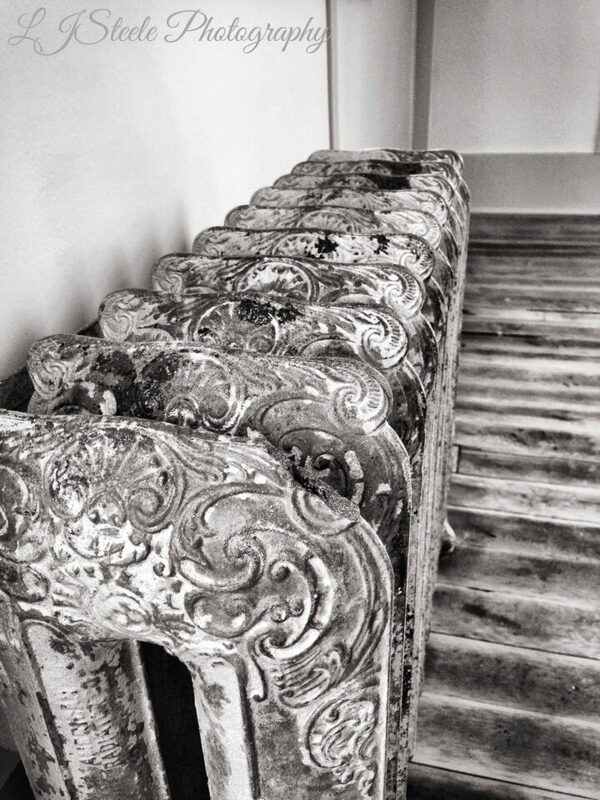 An old radiator in one of the restored Kennecott Mine buildings. 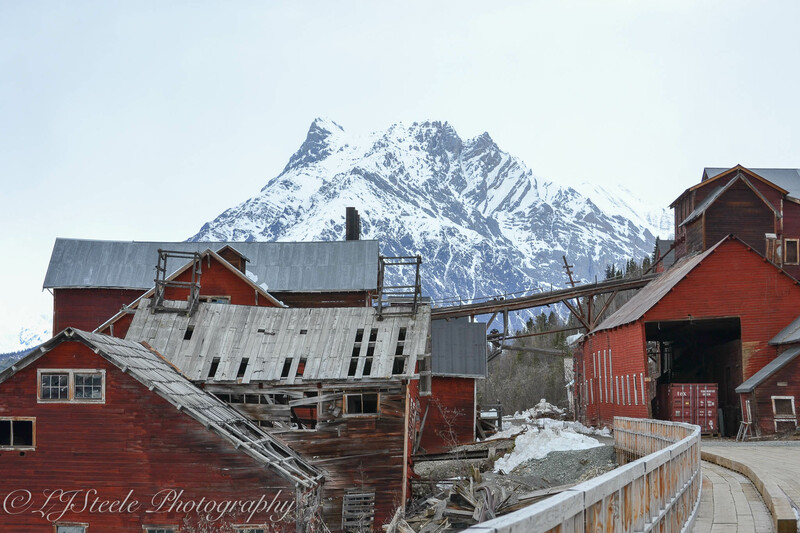 – The Getting There: The drive out to Kennecott/ McCarthy is also worth having the time to stop and take pictures, the history as I mentioned above is really fascinating…and will afford so excellent photographs..even the newer style bridges are a photographers dream. But make sure your vehicle has a spare time – or two, the road is gravel part way and many a tire has been blown due to sharp rocks, old railway nails etc. Important: Gas up in Kenny Lake (a few miles up after you turn onto the Chitna road) as there is no gas station after that. – Take a filter (polarized) as it can get overcast in Fall months and hazy in Spring/ Summer when looking out over the glaciers and the moraine. – A 2 stop GND filter may also be a benefit, the exposure due to either snow or bringing sun can offer its own difficulties. Often sadly if I have traveled too light, I then tend to try and under expose, and deal with it later in post processing. 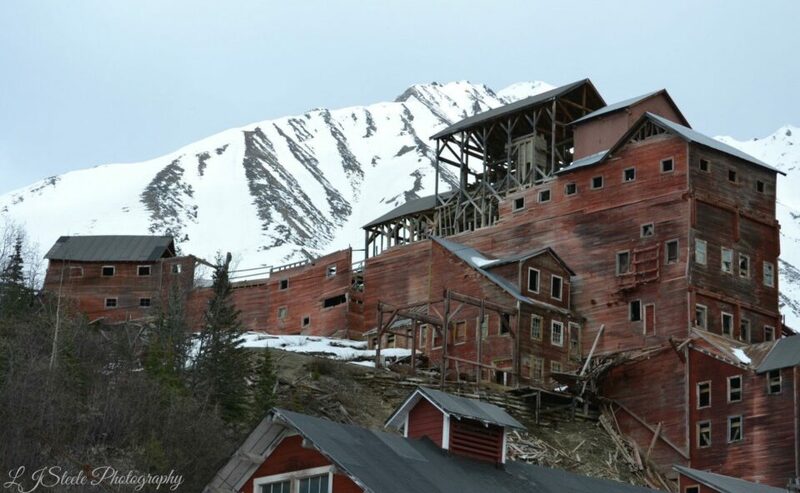 Kennecott Mine powerhouse used to process of 200 million $ in copper ore. It is indeed an amazing place. I just got back from a few days there. The other travel option is to fly in via a 30 minute light plane flight from Chitina, which gives you great views of the mountains and glaciers and saves about three hours of driving.